Your business is something you’ve put your heart and soul into. As a woman in business, this means you should properly protect it, like you would anything else you care deeply about. Insurance is a major cost for businesses, which limits the resources they can spend on expansion, marketing and employee wages. With the right knowledge, you can save on your insurance and still maintain thorough coverage. 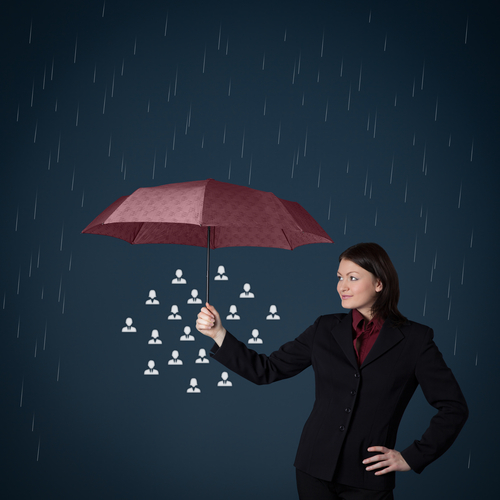 Here are some tips that will help you spend less on your business’s insurance. Insurance prices will vary from company to company. Do your research before you commit and sign up for an insurance policy. Research the companies and brokers that already help businesses that are similar to yours. Call each company and compare prices for their offered services. Also, make sure you feel comfortable with your assigned broker, as they are someone you will work closely with. You are placing your beloved business into this insurer’s hands—it is imperative that they are a stable company. Assess the financial health and rating of insurance companies through A.M. Best, a company that provides news, credit ratings and financial data products and services for the insurance industry. Look through the proposed policy that your insurance broker has presented. Make sure there aren’t any coverages that you don’t need. For example, if your company doesn’t utilize any automobiles, commercial auto insurance may not be necessary. Also, pinpoint the risks that your business will most likely encounter. Take preventative steps that your insurance company will reward. For example, if you have a retail store, equip the store with a video surveillance system. This will help protect you from loss and will serve as evidence for any damages that occur. Many security cameras, like the ones from Lorex, can be securely accessed on your smartphone or tablet, allowing you to monitor your business when you aren’t physically present. Package your policies for a lower overall premium. Don’t purchase individual coverage plans, but instead bundle up, so your package policy offers multiple coverages for a lesser cost. A Business Owners Policy (BOP) combines protections—property, business interruption and liabilities—into a single plan. Think of the bundling up technique as a prix fixe meal, where you receive the entire tasting menu for a discounted price, rather than ordering each individual item off the menu at a higher price. State Farm is one insurance company that offers business policies that you can tailor specifically for your company’s needs. The money you pay before your insurance is applied is called the deductible. Your premium is the amount paid periodically for the providence of insurance. Within most insurance companies, a lower deductible results in a higher premium. Increase your deductible, so you can save money on your premium payments. However, make sure that you don’t set your deductible too high. Payment of a deductible is required before you receive any help from your insurance on a claim. It should be set at a price that you could easily pay, so you aren’t scrambling for money in the event of an emergency. A higher deductible will also keep you less reliant on your insurance and prevent you from filing smaller claims, which may increase your premium. Equality for Women in the Workplace: Will the Problem Ever Be Solved?